The urging comes to write, but not the knowing of what is to be written. I haven’t a need to chronicle the day; other pages exist for that. So I’ll yell “uncle” and give in to self-revelation by writing about the most recent wrestling match. “Helplessly hoping, her harlequin hovers nearby awaiting a word.” Readers of a certain age will recognize the quoted lyric as coming from a Stephen Stills song,Helplessly Hoping, made famous by Crosby, Stills and Nash in the early ’70s. 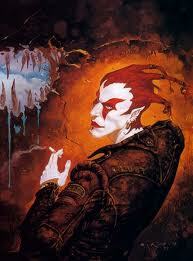 The word “harlequin” derives from the middle French “helquin,” meaning demon. Ultimately, though, the word came to mean those masked court buffoons clad in brightly colorful diamond-patterned pantaloon costumes, the Fools we’ve so often seen in films and plays. Truth is, I need to call upon a harlequin, one I hope has been hovering and awaiting my word, to rid myself, if not for all, at least for once, of a helquin that’s been trailing me all my life. I’d like to think that the buffoon and the demon could square off and that the sheer idiocy and tom-foolery of the buffoon would send my nemesis running for the river, never to be heard from again. And if ever I’ve needed a lighter perspective, it’s now when I’m face to face with a dreaded darkness that I have lived with for so long: having to submit to medical/dental procedures and the terror they bring. It’s the sort of fear that can only come from past lives still active in memory; this is surely that. So this blog post is my helplessly hoping calling forth of some hovering Gay (as in the old definition) Fool, replete with diamonds and blousy pants. In one’s late-middle age certain things have a way of coming to call, sort of like an expiration date appearing all of a sudden, but often more slowly and noticeably over time. The helquin knocking on the door at this particular moment has its roots (pun intended) in my mouth: several of my teeth are in need of “major” (read “scary, expensive, would rather die than face”) dental work. All of this would still feel beyond possible even if money were mine to be had. “Money??? What’s that?” the scullery maid sarcastically asks the cook, who just looks at her. “Ha! Ha! Ha!” laughs the harlequin as he turns handsprings across the king’s table so as to keep attention off the scullery maid, all the while being chased by the helquin with the sovereign’s carving knife. After realizing that I wasn’t likely to die before I had to do something about all this mouth stuff, and after discharging terribly hard (read “sobbing, slobbering, nose-pouring; shaking, shi_ _ing, sleeping”), I wrote the essay that appears just before this one on this blog, Walking, Not Crawling, Toward Elysium. And then I began “doing the next right thing,” the first of which was to send an email to my “Sistahs” – a support group made up of ministers, nuns, a priest and a rabbi. Meanwhile, in a break from the chase and while having a drink together at the local watering hole . . . “Did you hear the one about the priest and the rabbi who walked up to the nun in the bar and…?” queries the happy harlequin of the diabolical demon, who of course interrupts the question with one of his own, “What the he_ _ do I care about your religiosity? Off with your head!” and chases the Fool out the door. The laugh was on the demon this time, though, because the Fool, who’d hidden behind the big Wooden Indian outside and just to the right of the salloon door, pulled down the pants of the haughty helquin when he turned left to see where the funny fool had run off to. Of course, it made Mr. H. quite angry. In my note to The Sistahs I wrote, among other things: I’m praying to find someone kind and gentle and good who will do the work pro bono. And I’m praying for the reduction of fear, the presence of the ability to think clearly (which I’m having a lot of trouble doing), and the advent of peace and calm. Please join me. As a result, I now have an appointment with the Rabbi’s friend and dentist this Thursday at 2:30. It took a week, though, after receiving the Rabbi’s “Good News for Modern Man” for me to contact Dr. Siegel because the buffoon, thinking only of himself, left for his annual August week in the Catskills (who knew??) and I had to wrestle with the demon some more. He also kept me up this morning from 3:00 till 7:30 when I finally went back to sleep, but not before reading many pages in an older metaphysics book, How to Do All Things: Your Use of Divine Power. From the reading: Your kingdom far surpasses an Earthly kingdom, and it already has been prepared for you. All you need do is learn to assume your authority. The government of your kingdom is divine law. The people of your kingdom are your own thoughts. This is the analogy the Hebrew, Christian and other Bibles use: kings represent the personal conscious self, and people represent the thoughts of that self. After all that discharge I mentioned earlier, I eventually found that I’d been emptied out. All that was left was a hollow knowing that I could do nothing but what had to be done. Since I was not a’tall willing to take my own life (if the demon managed it, well…) I was going to have to find a way to nod, rather than shake my head. I’m no biblical scholar the way my Sistahs are, but as I think of these three weeks I can see that I’ve somehow crossed the Jabok, that river in the Bible where Jacob wrestles with the angel and “comes to terms” . . . with Self/self and with God. Jabok means to be emptied, or to be poured out. And that’s where I’ve been; that’s what’s happened to me. I was emptied of certain normal-for-me states of being. I’ve kept quiet till now, kept my own counsel as they say, most unusual for me. And I’ve been gifted, presumably through the discharge and the river wrestle, with some deepened ability to claim a certain amount of authority over my thoughts, and to somehow keep them much more still than ever before. Don’t get me wrong; I’m not without trepidation. I am, though, treating this as a tremendous spiritual passage and clearing, as something that I believe has to happen before any of the other things I truly long for can possibly come to pass. I came to the river and had no way to go except across, and that meant under and inward. So, as lovingly as possible, I slogged and swam through the shame I’ve carried (seemingly forever) about all of this. Some of it has vanished, thanks to some Sistahs; a sizeable portion remains. I always do much better if I feel that I have a relationship, a partnership with the professional under whose care I’m placing myself. In writing this, I’m putting into the ethers my hope and prayer that Dr. Siegel won’t judge me as harshly as I’ve judged myself all these years and will instead partner me, not only through kindness, which I imagine she posesses in great measure, but also with an understanding, even if not conscious, of the courage that I have had to pull from somewhere deep in the rivers of myself so that I can walk into her office and sit in her chair and not get up till she says it’s time. And yes, I can do that whether she gets the message through the ethers or not, but it will be a hundred times easier the other way. In Chinese Medicine, the Heart is seen as the Sovereign of the kingdom; in human terms it is the place of partnership, communication, courage, and love. It’s where the great “for the sake of” resides. It’s also the place of fun and joy. So as the brightly clad harlequin continues wrestling with MaryMary, the quite contrary helquin, I’m looking for things to laugh and giggle about, along with a few ironies to appreciate. If anyone has some of those to share this week, I welcome your contributions. Meanwhile, I am creating meaning and purpose in the task at hand by becoming mindful of my own “for the sake of,” which is that I, in part, took life this time to work with and clear as much as possible of this issue of loss of control and lack of safety, which is what medical and dental procedures create within my emotional body. Obviously, this is my Jabok experience (or one of them, and believe me, there have been many). In this one, as in another about thirteen years ago, I have had to let go of all that I so desperately want to hold onto and say “yes” to a long night with “the devil” of my fear. “What do you get when you cross the devil with the saint?” riddles the Gay Fool, who has no answer, of course. The helquin might, if I let him speak. If you have an answer, send it to me on a postcard with two wooden nickels taped to the back. The best answer brings the winner a free subscription to my Joke of the Month Thought. Oh, shoot. I just realized that if you want the prize, you’ll have to be clairvoyant to enter the contest. You could always ask Mr. H. for help, but I wouldn’t recommend it.